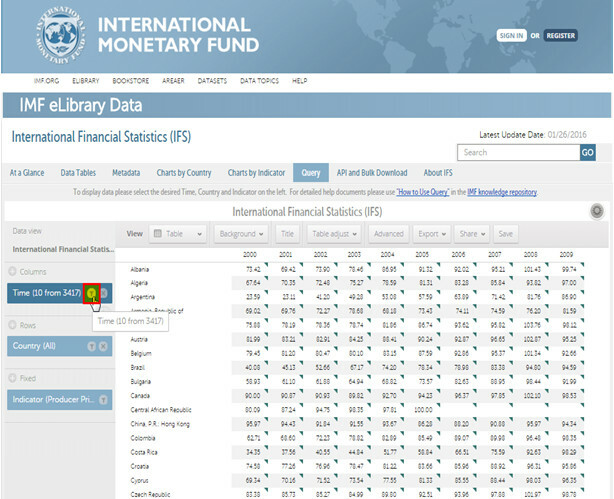 On left side, under �the Data View� pane, place your cursor over the �Time� attribute. Thereafter, click on the filter icon, as shown below in yellow. If applicable, deselect all pre-selected time frequency (-ies) by clicking on None. 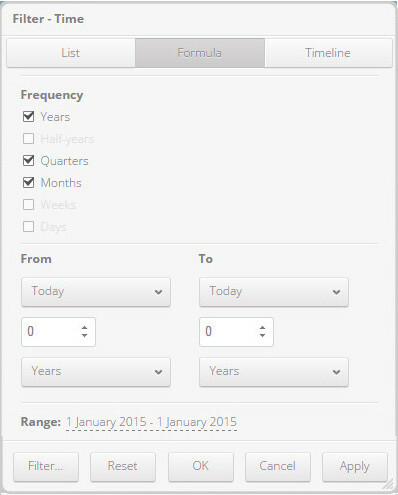 - From the list of time boxes, check the boxes to select the desired time and frequency (-ies). Click on the arrow(s) on the right to select lower frequencies as show below. 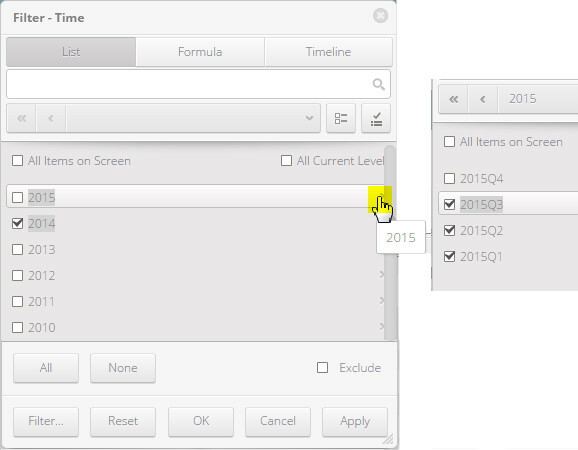 - Set up the desired date range by specifying the 'From' through the 'To' dates. 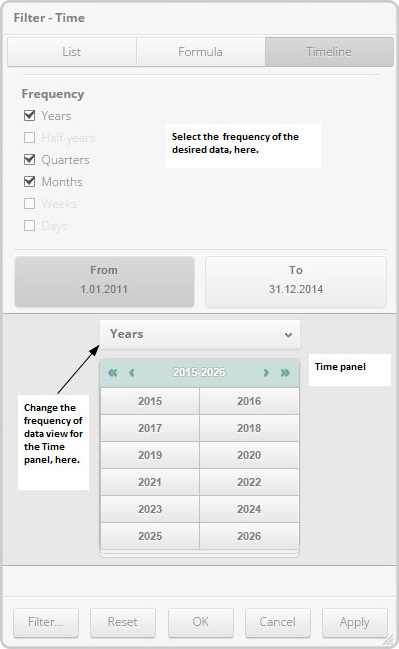 - Within the Time panel, specify the desired time range by highlighting all of the relevant years within the time panel. Once all desired time frequency(-ies) get selected, click on APPLY and then OK.